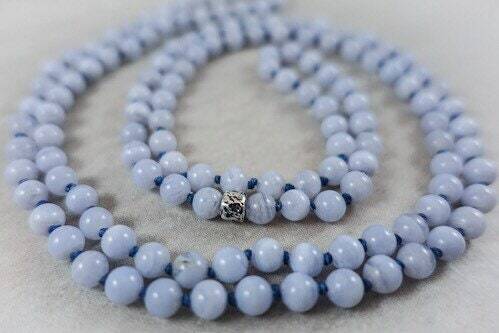 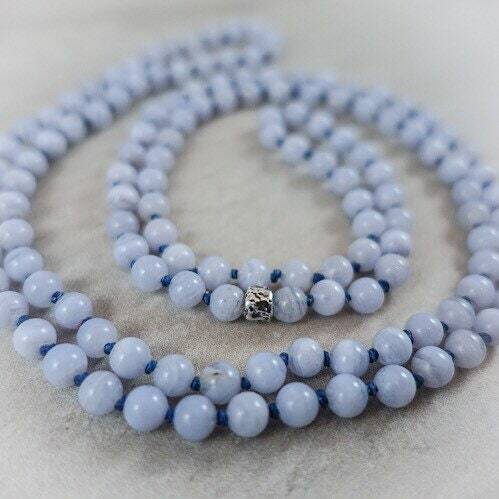 Echoing the colors of the sky, Blue Lace Agate properties are linked with the heart chakra, which helps us heal by opening up our energy channels to unconditional love, the ultimate remedy for soothing the pain and confusion that comes with the human condition. 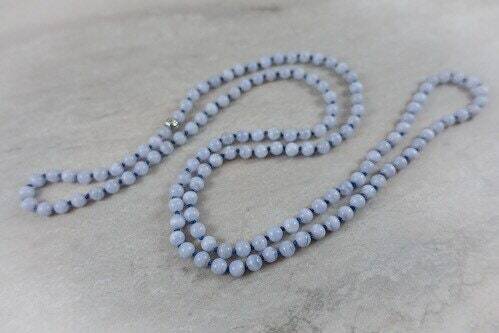 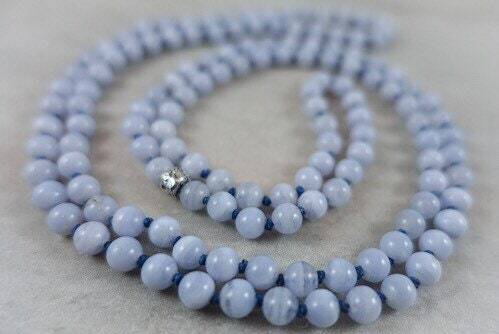 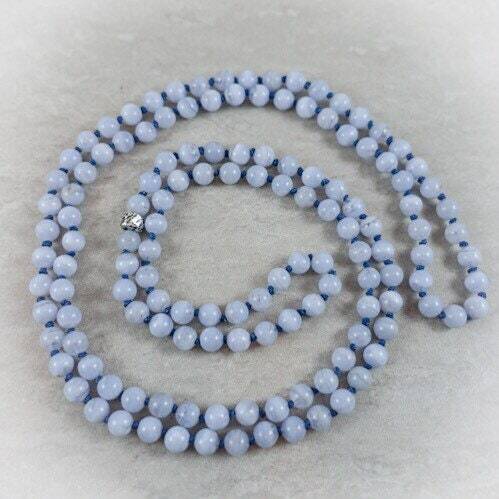 These pale blue stones are hand-knotted in royal blue Irish linen thread. 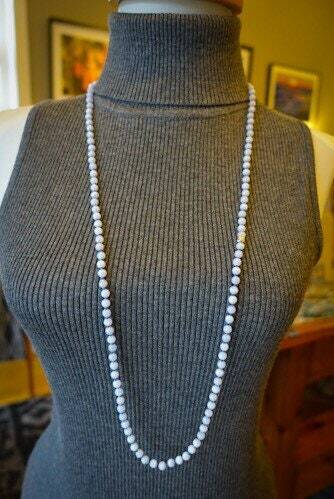 This infinity necklace measures 36 inches in length.